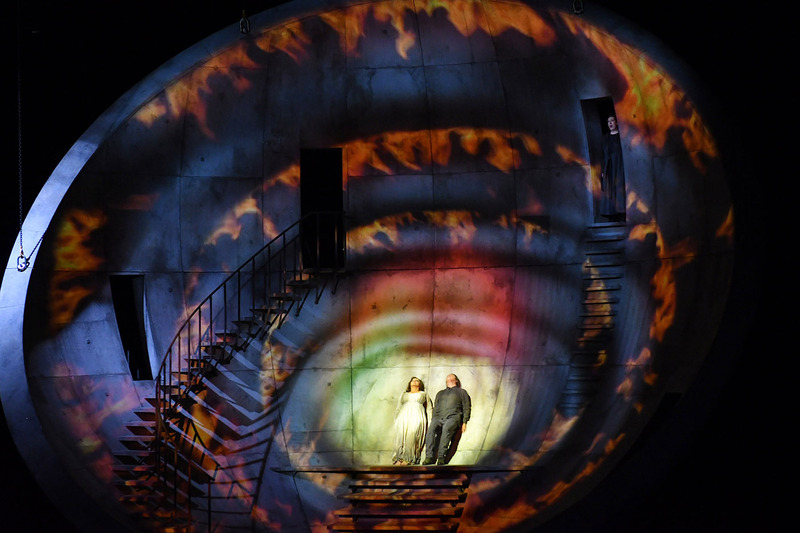 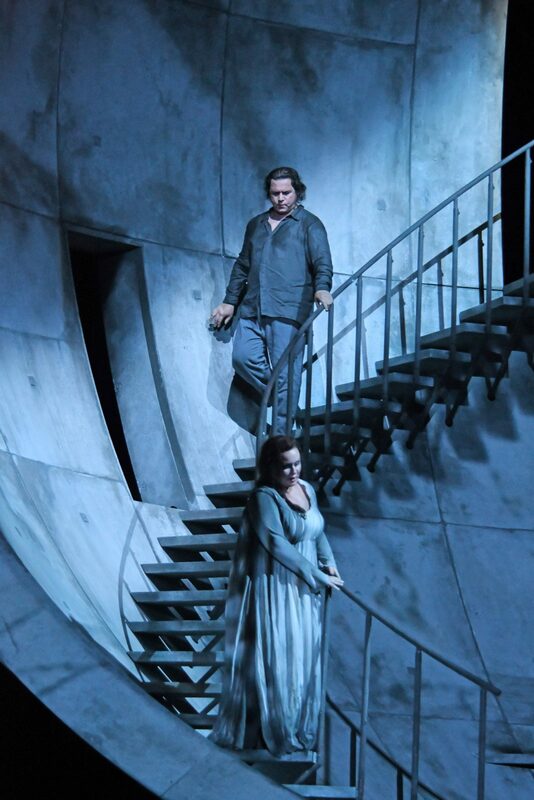 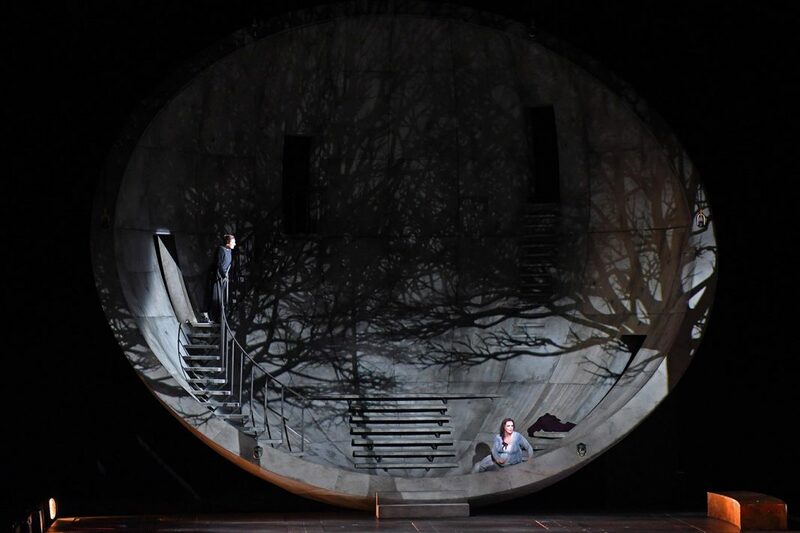 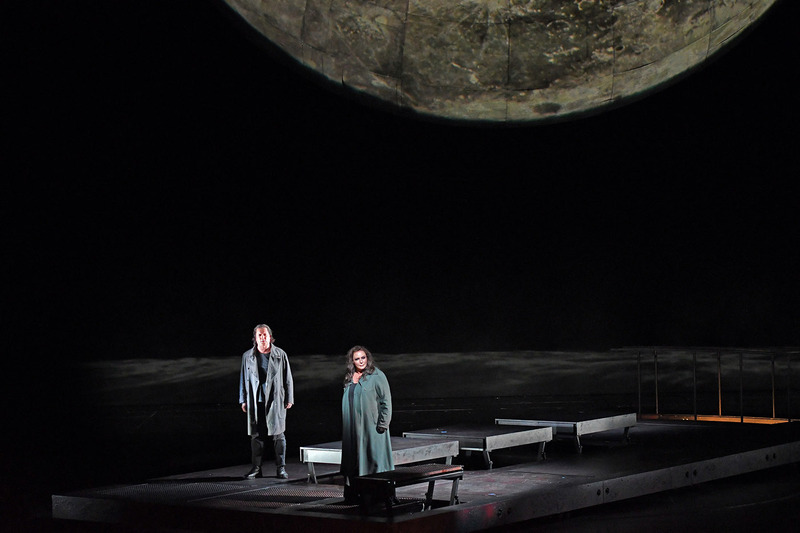 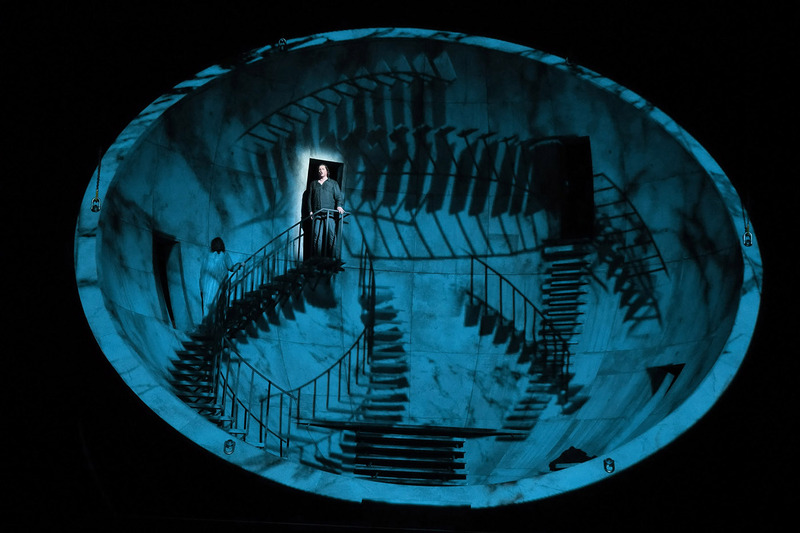 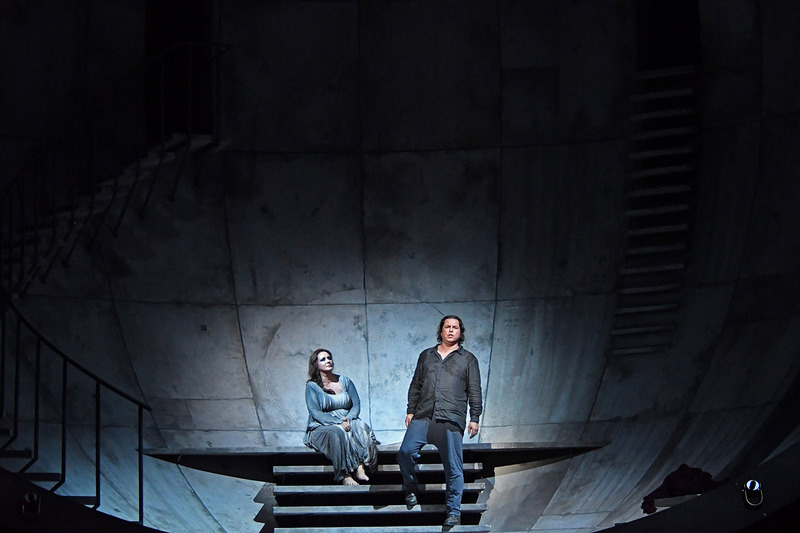 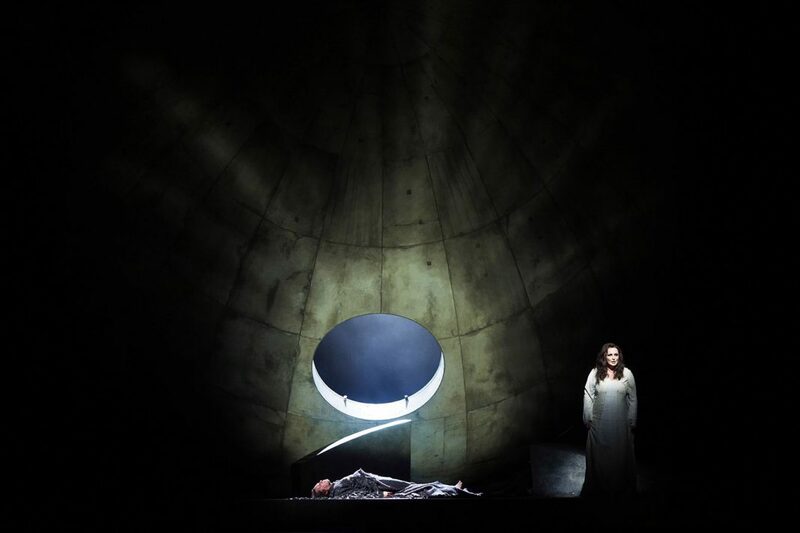 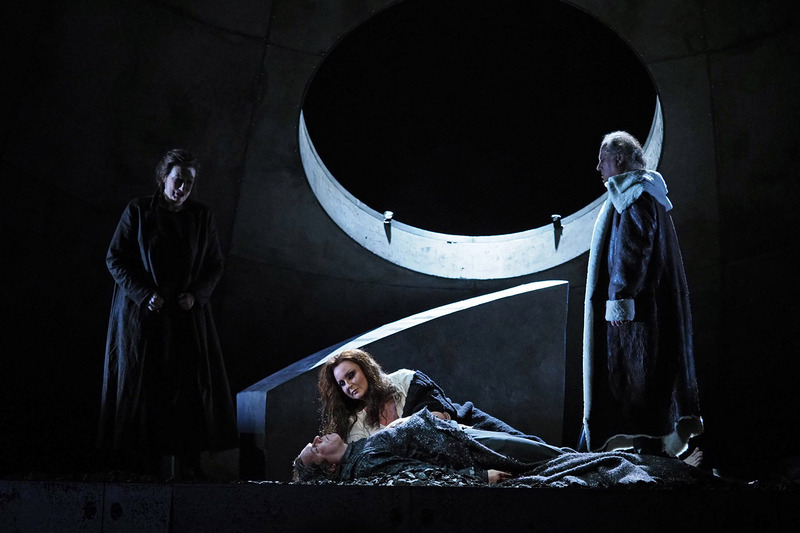 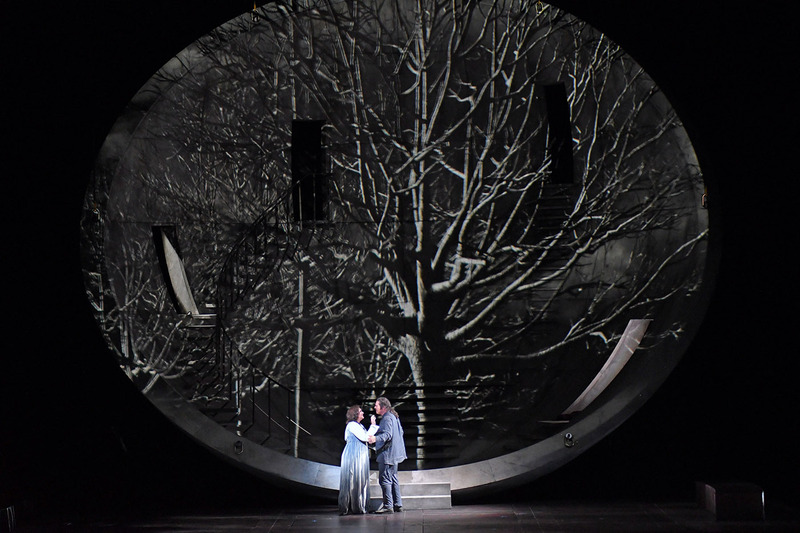 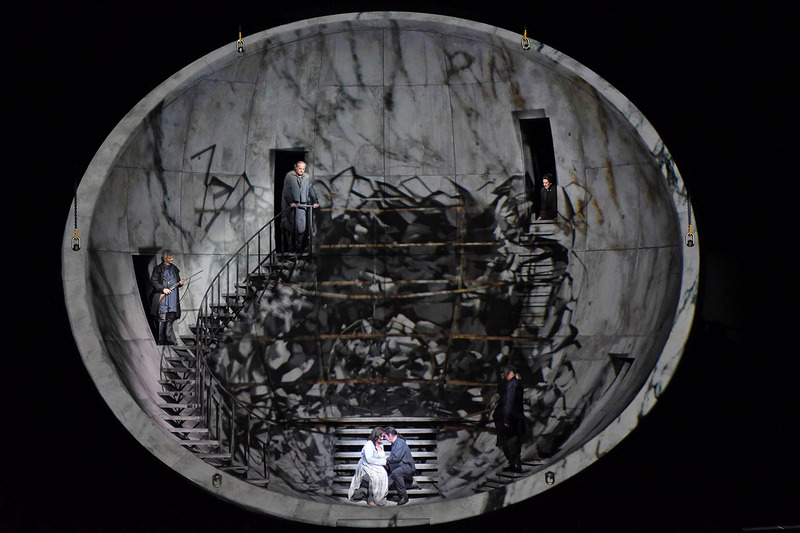 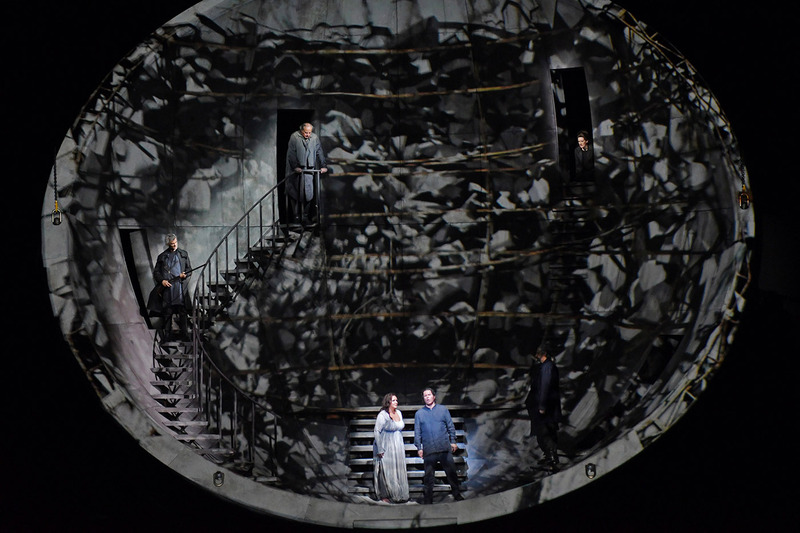 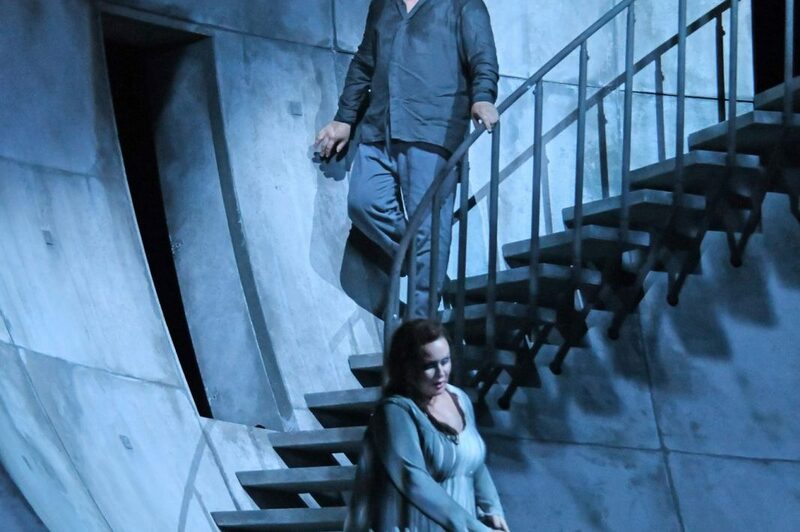 Alfons Flores‘ set design for La Fura dels Baus production of Wagner’s Tristan und Isolde is now on stage at the Gran Teatre del Liceu of Barcelona and can be seen until December 15. The production was first staged in 2011 at the Opéra de Lyon. 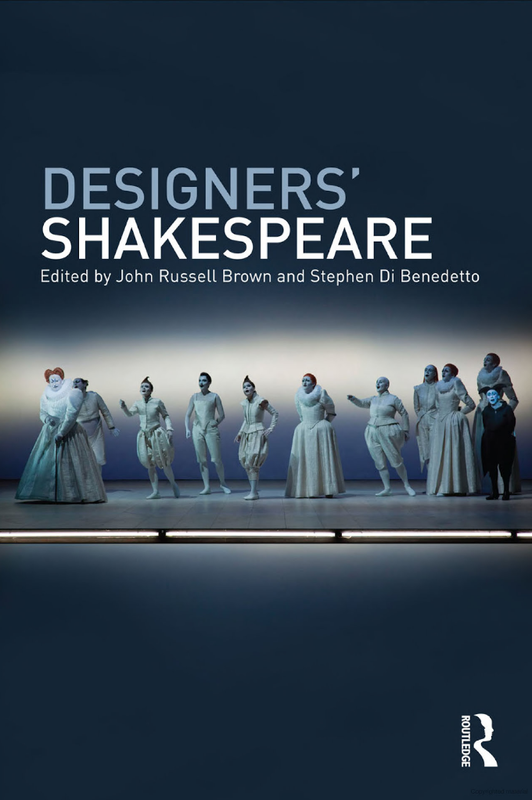 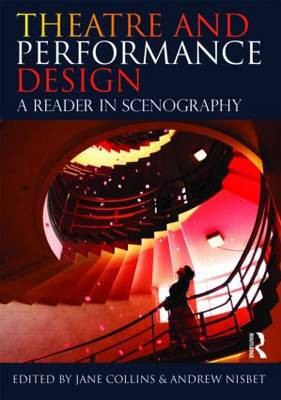 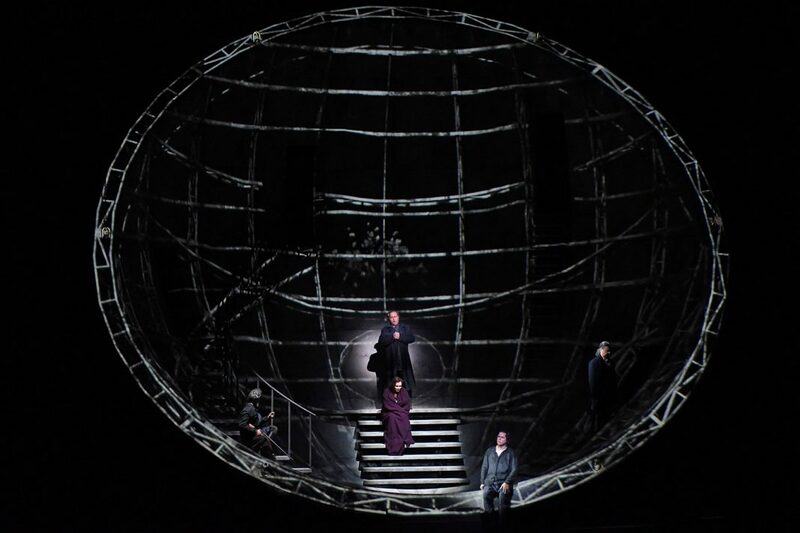 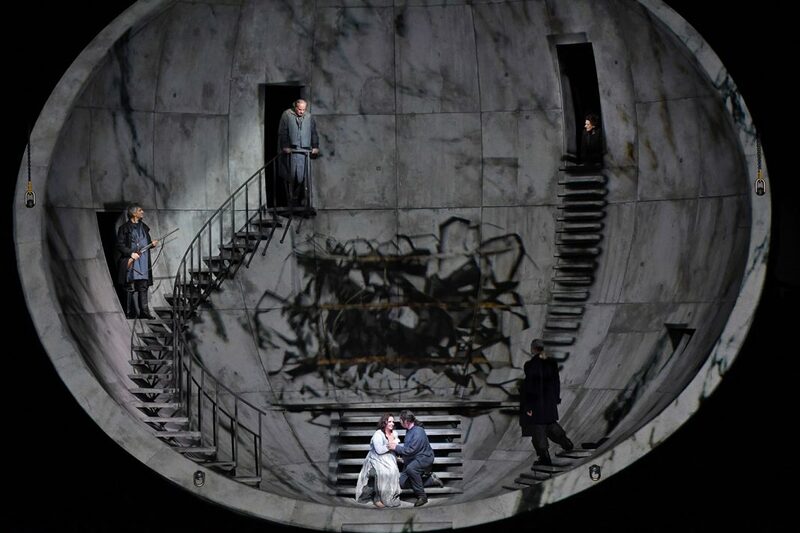 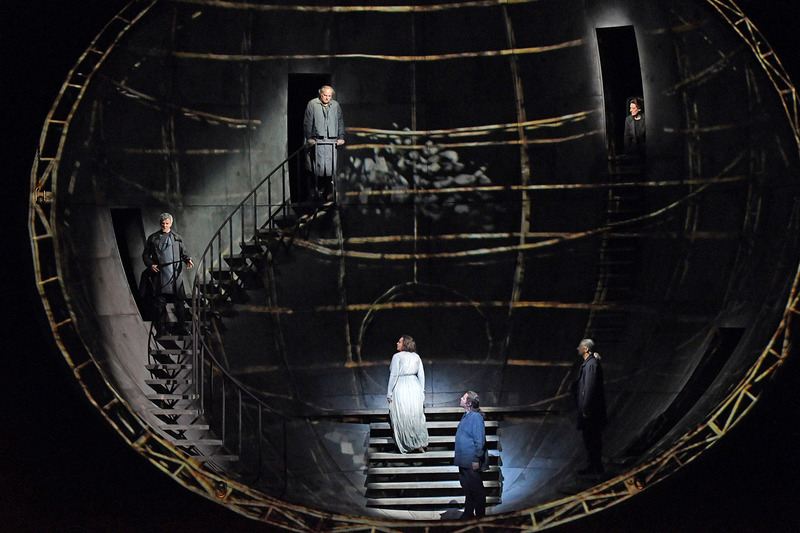 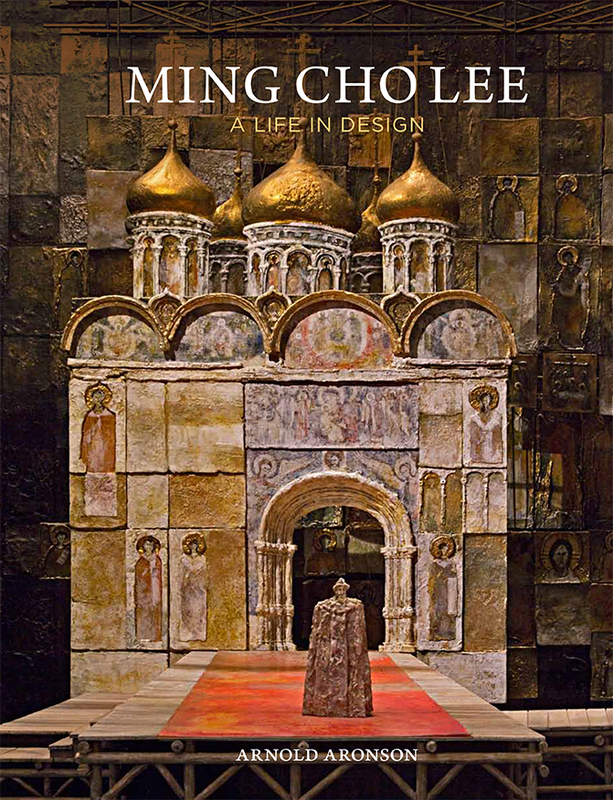 A giant hemisphere of 5,200 kg crowns the stage and becomes the centre of the symbolic universe of this mise-en-scène. 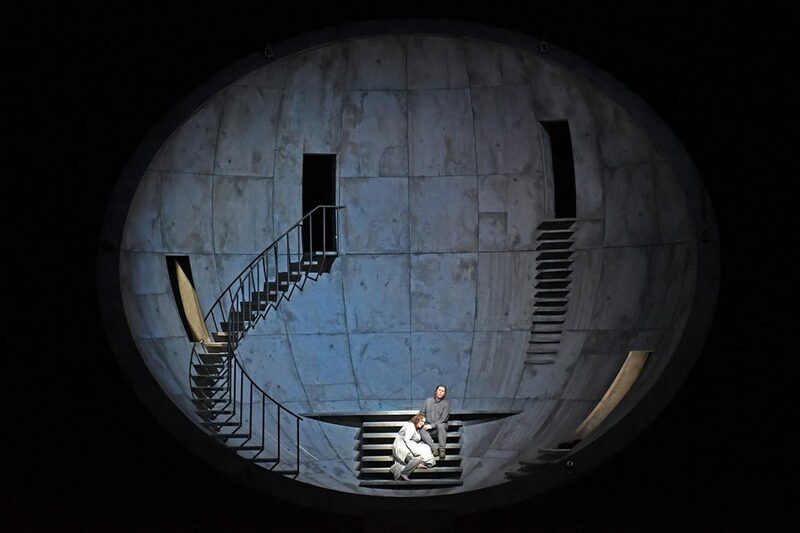 The structure becomes a big moon in the first act, it then swings and begins a progressive descent to become the castle of King Marke in the second act. 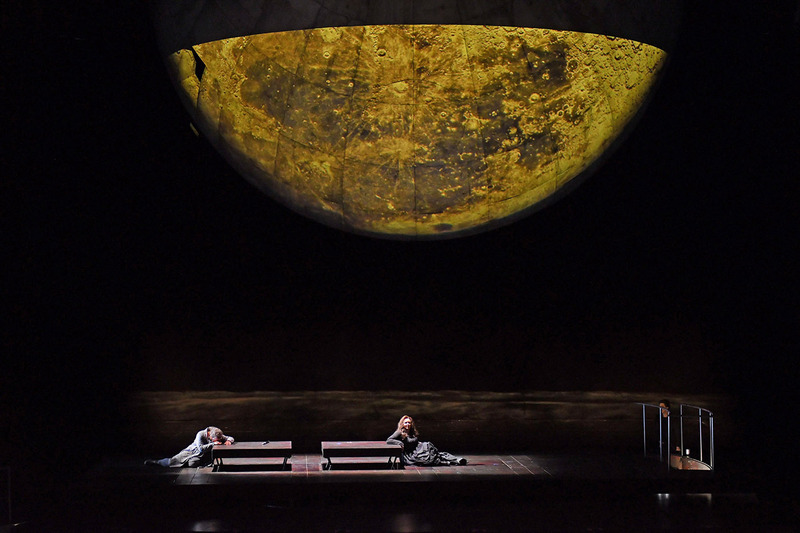 In the third and last, it ends up becoming the great slab carrying the character of Tristan. This large hemisphere is accompanied by a moving platform and video projection that enhances the symbolic aspect of the setting and the internal feelings of its characters. 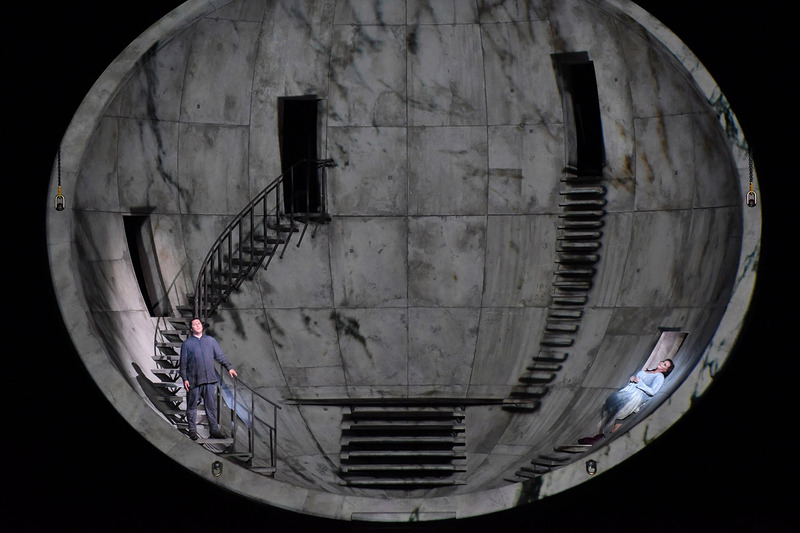 The staging reinforces the Wagnerian ideal of wanting to build a Gesamtkunstwerk, something which is also found in “the DNA of La Fura dels Baus as a multidisciplinary company,” said director Àlex Ollé. 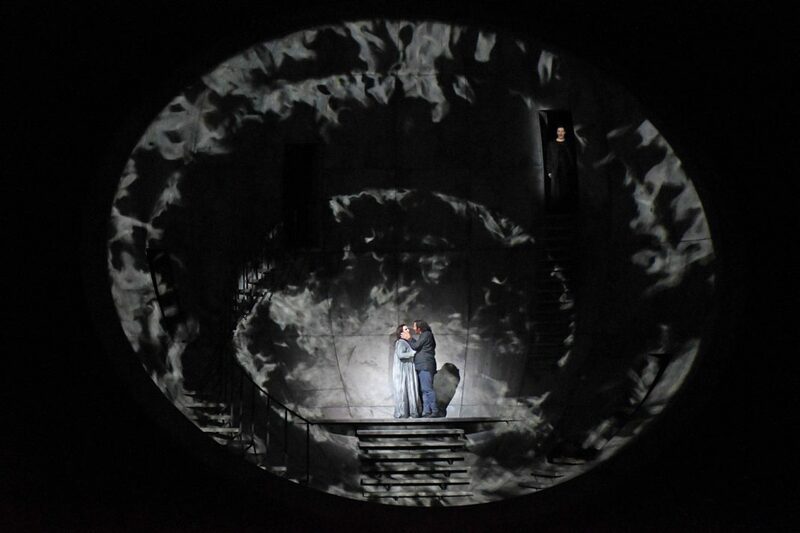 The costumes are designed by Josef Abril, the video projections are by Franc Aleu and the light design is by Urs Schönebaum. Stage direction by Àlex Ollé with the collaboration of Valentina Carrasco.